» When Coaches Get It All Wrong – Parents and Clubs Must Get It Right. When Coaches Get It All Wrong – Parents and Clubs Must Get It Right. This past weekend the 10U girls’ team I coach played in a tournament. Our first game of the tournament was bright and early Saturday morning. I took notice as my team was gathering during warm up as the voice of the opposing coach bellowed across the field and through the crisp fall air. His commanding, demanding, and booming tone, definitely audible a field or two away, was incessant. Ugh, he was a 6’2” 250 pound screamer. I found myself distracted from my team and studying the faces and demeanors of his players as they were congregating by their bench just before the kick off. Were they having fun? Were they scared? Were they actually feeling inspired by this incessant barking of orders? This is called joystick coaching, and it is harmful to the soccer development of the players. This coach, unfortunately, was the master of all masters at joysticking his players around the field. The result? Because he actually had a relatively good sense of the game and was clear on the tactics of how to play a pressing game – his team was usually in the right place at the right time (even if their eyes were wide with panic and stress) and his team played well. By halftime, they were up 2-0. My girls, getting their water and gathering for our halftime talk, having heard his outrageous comment - looked up at me with wide eyes and gaping mouths. My heart dropped. This coach just went from being an annoying coach who wasn't helping his players develop - to a bully. Listen, I know you are winning 2-0...but you must not let that distract you from what is really happening. Please understand two unfortunate things are happening to your children right now because of their coach. They are being hurt as young people and as players. First, you must understand and recognize this negative coaching behavior and realize your child's coach is motivating them with fear. A coach who uses their position of power to elicit behaviors based on fear tactics – is a bully. Now, let me be clear. I actually watched 3 games from this team over the weekend, twice positioning myself near his bench on purpose. And I can tell you – he really cared about these girls. He really wanted them to do well and to feel the sweet joy of success and winning. I have no doubt in his overall intention to do the right thing. However, he was doing the wrong thing. Coaches who motivate from fear cause stress and anxiety in their players that will eventually result in some players on the team quitting the sport, demonstrating signs of anxiety in their daily life, and who likely won’t develop the intrinsic motivation required to fulfill their potential as an athlete. This coach may have cared about his players, but he cared more about himself personally winning, than their proper development. Why did the parents allow their daughter to play on this team with this coach who managed from fear and took away so much of the joy a 9 year old should be experiencing in the game? I can understand how you may be confused and are even maybe excited about the success your children appear to be having in the moment. After all, your daughters are winning and working really hard, seemingly learning lessons in discipline and determination. To be clear, your child's coach definitely understands the game. The direction he is giving your daughters from the sidelines generally reflects what they should be doing in that moment to play well and win the game. But your child's coach joysticking them around the field, controlling their decisions, is not helping them develop. I could have started doing the same. I could have yelled at my girls all game long – telling them where to go, what to do with the ball, when they needed to work harder…and he and I could have made this game about us – instead of the players. These coaches desperately need education and to change. This is not the same as a coach yelling to her players to "Get goal-side!" on a corner kick (although yelling “How can you protect the goal?” would be better) or reminding them to "Move wide." as the ball is circulating over to their side of the field. This coach crossed the line repeatedly – and there are coaches all over who do this weekly. Your number one job as a soccer parent is to make sure your child is playing in the right environment – and if your child’s coach is incessantly joysticking them around the field and/or motivating them from fear – THAT IS NOT THE RIGHT ENVIRONMENT. Soccer clubs need to educate, engage and further develop coaches who make the game about themselves, and don’t allow players to learn through making their own decisions and developing their own awareness of the game around them. And we definitely need to rid our sidelines of the bully coaches. But sarcasm and passive aggressive comments aside, I have been thinking about this coach and his players often this week. I should have done more: talked to him, talked to the parents on the sidelines, found out who the DOC was at his club and reached out to her or him – SOMETHING! He is robbing his players of the chance to develop properly, players on his team surely feel anxiety and unnecessary stress instead of joy, and the parents don’t seem to understand the negative affects he is having on them both as players and young people and are tolerating this negative environment for their child. The screamer's team ended up winning the tournament, which is unfortunate because it just reinforced the coach's bullying and joysticking behavior. This type of coaching behavior must become completely unacceptable and unwelcome from parents. We need to protect our children and allow them to develop in a nurturing, challenging environment that will help them feel inspired and allow them to thrive. Post-Script 2: The foundation of the work I do with the Soccer Parenting Association is to establish trust between coaches and parents. In no way what-so-ever is this article intended to do anything but further that work. This is not a parents vs. coaches issue, despite me calling parents to take action in these situations. It will be difficult for us to establish trust-filled relationships if we continue to endorse this type of behavior from coaches by not speaking up about it (parents and coaches together). That being said - I have had a fellow coach I trust a lot encourage me to dive deeper into defining "joysticking" behavior so parents can better understand the difference between "guided learning" and "joysticking." I will work to get a follow up article on that topic out soon. Great article Skye! Anyone who has coached has been right where you were and you captured it perfectly. By the title of your article, I was thinking you might have some suggestions for how the clubs might play an increased role from an organizational perspective. You do call for clubs to rid themselves of poor coaches, but how can that be accomplished? Our soccer club has made attempts to implement coaches evaluations, which seem a positive step. You mention training, which would certainly help if done right, but that might be a stretch for some clubs. What are your thoughts on the best organizational tools to help with this critical issue? There is actually no place in yelling in youth soccer- especially under u14. Read Tony Dicicco’s book Catch Them Being Good. Listen to Mark Pulisic’s lastest Podcast on how he coached a young Christian. He let Christian and his teammates “own the game” on game days. I am an elementary PE teacher for 20 years and a youth soccer coach for the last 8- I have never met a kid who likes being yelled at- especially during a game in front of their parents or peers. Yelling and joysticking is a coaching technique- but an old school bobby knight model that only works because the players are fearful. I am not saying that is a bully, but it is taking advantage of your age, size, experience and position to get away with treating someone in that way. Ok maybe it is bullying. Joysticking does not allow the players to make their own decisions. You can easily prove how much the kids actually know by removing the coach and watching them play on what they have learned on their own. It would be an interesting experiment. I am guessing they would make mistakes- look over and not hear the yelling, and slowly, ever so slowly….. start to have FUN. Man amazing that you have views on this website that contradict what is being said by Skye. I would have chosen not to do the sarcasm that she used on the other coach, but by the sound of it, she was probably caught up in the emotion and felt bad for all who had to endure the other coach. And as some of you said- competition brings out the worst- hopefully this blog will help others. I am sure I will be roasted for this stance. I see (hear) these coaches at every tournament. I’m not talking about the loud coach yelling direction to his/her team, I mean the coach that sounds angry, barking orders and pointing out mistakes. Having never had one coach my child I find it unbelievable that a parent would put up with it? Do the parents take winning over their child’s well being? I certainly wouldn’t keep my son in that environment. Actively coaching and giving criticism to a player is what a good coach should be doing. This can be done without screaming at players during a game. A better option is to sub a player out, tell them what they did wrong, how they can correct it and send them back out there. There’s also a big difference between yelling “to” a player what you want them to do and yelling “at” a player. I’ve seen much more development of players when coaches do this during training by being firm and clear. I’ve never seen a yeller grow anything other than resentment. One of the worst examples of this type of coach I’ve seen was when my son was a u10, and the opposing coach ran towards his defensive end after they gave up a goal, pointed to a player yelling “that was your fault, that goal is on you”. All the parents on our side just looked at each other in shock, while none of the parents from the other team said a thing. It was heartbreaking to watch the defender with his head down, struggle through the rest of the game. The coach spent the whole game working his team over from the sideline. So much so that the players from my son’s team spent most of the game looking at him. It was all they talked about after the game. Those are all great ways to explain when it goes too far: Angry, Pointing Out Mistakes (in a degrading manner)….Thanks for being a part of this important conversation. I definitely agree with @Scott Molen. My three children have played soccer throughout their youth and their personalities and how they respond to a coach are VASTLY different. I’m sorry, Skye, I normally find your commentary enjoyable to read, but your “one size fits all” theory for coaching youth soccer falls short this time. Hi Rich! Thanks for chiming in….I sort of addressed this in my reply to Scott! The point where coaching crosses the line from passion to bully is one I am really looking forward to trying to define. I am sure there will be lots of varying comments to my future articles on this subject – but the conversation is such an important one!!!! I appreciate you taking the time to write this article. However, I take exception with many of the positions you have taken. Your article assumes your coaching the “correct way”. There is no right or wrong way to coach a team all the time. It’s 100% on the parent to place their children where they feel they are in the best place to succeed. If an entire team has a problem with a coach then a meeting at the club level with the coach to discuss would be an appropriate 1st step. Otherwise if a parent doesn’t think a coach is a good fit, then find a program that works better for their child. I have 2 boys who compete at a fairly high level of athletics with 2 entirely different personalities. A coach who will get the most out of 1 of my son’s, might not be able to get anything out of the other. They respond to coaching differently. I have 1 son who wants to be actively coached and welcomes criticism. I have another who is more sensitive. Only a parent, or those close to the child know that. An observer or opposing coach is welcome to their opinion, but are not at all in the position to say what is right or wrong from the outside looking in. These type of opinion articles are an attempt to say your way is better than another coach’s manner based on a 2-3 game sample. Although you may feel it is, others may not agree with your approach for a variety of reasons. The real question that needs to be answered for all teams, parents, coaches and children is “their definition of success”. If success is being measured by wins and losses at 9-10 years old, I don’t want anything to do with that team. Winning is nice but development takes priority, then the wins follow. As my oldest son is now going to college showcase events (he’s a Sophmore in high school), I can say with 100% certainty not one college coach or scout has EVER asked him what his record was in a tournament or season at 10 years old, nor do I expect they ever will. Bottom line is youth sports should be fun. If a team responds well to a loud game day or “joystick” coach and are enjoying their experience as they develop, then I have no issue at all having my children play in that environment. It is not anyone else’s place to say that type of coaching will not develop children to their maximum potential. An easier analogy would be in a higher profile sport that most of us have watched. My mom couldn’t stand watching Gary Williams coach Maryland Mens Basketball. She said she would never want any of her children playing for a coach like that. He was loud, passionate, very hard on his players and broke them down (often while playing). He also got the absolute best out of most of them. Guys got better when they played for him. Obviously some players didn’t like it because he didn’t get every kid he recruited and players would transfer out as well. I personally loved playing for coaches like that because I understood them even if we clashed. It’s also the environment that I developed the most as an athlete. If I never played for a coach like that and then when I got to college encountered it for the first time, I wouldn’t have been prepared to respond and succeed. You have the right to your opinion and certainly can coach your team anyway you desire. You also have the right to chose whatever team is best for your child to play on. However for you to state this type of coaching should not be tolerated, or accepted is where you cross the line. There are parents and children who understand and welcome it. If / when the parents decide to head a different direction, the coach may not have a team. I was not there to observe what you have stated. I do not have a dog in the fight on any level. This is my dissenting opinion as a strongly feel that an attempt to limit options for parents and players based on your opinion is 100% wrong and does nothing to advance the game (or youth sports) as a whole. I hear you (kind of) – and as you’ll see in my postcript 2 – I do think I can do a better job of defining Joysticking and Guided Learning. I’m working on an article on that with my Youth Coach Advisory Group’s input. I talk while I coach, and think there is definitely a space for it – and appreciate there are coaches with different styles….But there is a moment where it crosses the line. And – I think better defining that in a future article will help parents make good decisions about playing environments. As an aside – I think we need to be careful to use college/pro coaches as examples of acceptable behavior for our youth. I think a better example would be elementary or middle school teachers….everyone has their own way of connecting with our children and motivating them! But I don’t have a problem boldly stating: Fear is never an acceptable motivator for our youngest players – even when it appears to work when it comes to game decisions or results….but having high standards and clear expectations is. A loud, passionate, guided learning coach is fantastic – but one who instills fear in his/her players is not. I witnessed this coach in the finals of the tournament. He not only was unintentionally harmful to his players, but he was so loud and intimidating that our team was completely caught of guard. It completely swung the competitive balance in the favor of his team. Our eight year olds were not able to focus because of this booming voice yelling things they had never heard. I saw our team back down and play timid for the first time all season, and it was because they were so confused by the odd environment they all the sudden found themselves engulfed in. The opposing team scored in the first few minutes as our team was trying to make sense of the situation. As the game went on it became more competitive, but the initial deficit was too much to overcome. I was very proud of our girls for overcoming their initial shock and battling back. It was our first loss of the season and maybe a lesson learned. I’m not sure what the other team got out of the game except a medal that was a different color than the one we received. So your 8 year old team was playing up into a 10U tournament? The reason they lost is because the opppsing coach was too loud and startled your players? Was this coach in question directing anything at any of your players, using foul language, or abusive to the referees? A large part of the underlying issue here is the obsession to win. Coaches try to win because that’s the metric by how their coaching will be judged by the parents. Yes, their egos have something to do with it, but teams who come at the bottom end of their bracket any particular year are virtually guaranteed to have drama. Let’s bear in mind these are U10 kids we are talking about. A little more than a year ago, US Soccer made certain recommendations regarding competition and the youngers. It didn’t have the courage of its convictions and made these only recommendations, particularly having to do with tournaments and trophies. Put a trophy on the line, and this behavior is only going to encouraged. I get that we don’t want to go back to the everyone-wins-a-medal days of 90s AYSO. But the pendulum has swung too far. My own U11 goalkeeper might hang it up this year because we don’t live near enough any coach that really cares about long term development. We’ve had a coach that wasn’t able to produce the wins, and the team fell apart We’ve also had a great coach that was an excellent teacher, won the bracket, but also dropped my son for an upgrade when the team moved to silver. And then we wonder why so many kids are giving up on soccer as they get older, and call it a crisis? Hopefully the US Soccer Task Force will fix this, if not for my son, for kids after his age group. I have taken a few courses through the FA of Grt Britain, and one thing they do that I wish would be employed in the US… the use of a club Ombudsman to take on parent concerns as an intermediary with club officials. This provides a measure of insulation between parents & club, and provides a layer of confidentiality when matters turn into legal concerns (i.e. 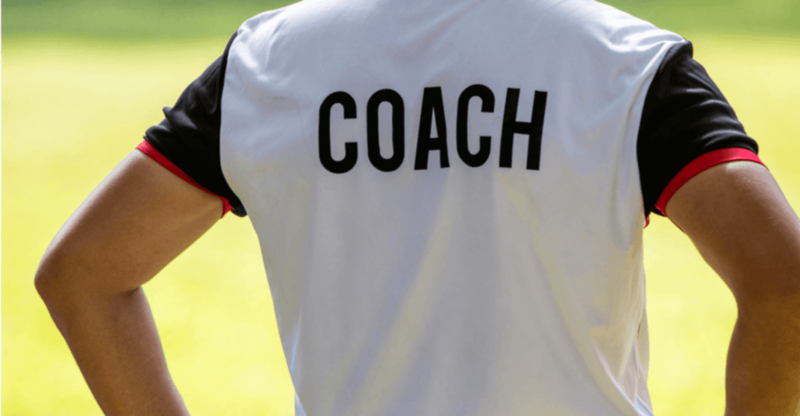 is it abusive behaviour, or just tough coaching? etc). The role of Ombudsman would be to investigate and ask questions on parents behalf, present evidence, and issue private/confidential reports, with full backing of the club, answerable to only a board of directors. Also, there should also be a system of peer review by licensed/certified coaches and mentoring before coaches like the one mentioned are handed a team. Clearly the desire to coach is there, which should be fostered. Unfortunately, the execution of the methods is not just hindering progress of the team…but may also be preventing (scaring?) other parents from wanting to volunteer for the club. Those are all great points!! and I have heard of a club or two using this type of “ombudsman” role in their club here in the States! So just want to hear your thoughts about a coach not necessarily joysticking but yelling out mean, condescending and sarcastic comments to the (u11) girls throughout the game and training. This is a high level “A” coach who is an excellent trainer but seems to have no clue how to motivate young girls. Seems to sap them of their confidence. I don’t necessarily love my kids playing for him but the alternatives aren’t nearly as competitive or at the level my kids need. Hi Rick – yes, this is always a hard situation…. As a few people who have commented have noted, there certainly are different ways to motivate young players. If you are concerned, make note of a few specific things he says that you think cross the line or affect your child in a way you can adequately express – and ask to speak with him and give him some perspective on how you and your child perceive/feel about his comments. If the conversation isn’t as open and trust-filled as you’d like – then next step would be to talk to the club leadership. You still can contact his DOC. As a soccer parent who has been lucky enough to have had personal experience with only one joystick coach (who somehow wasn’t mean about it), I encourage you to do so. As you’ve posted this rather publicly already, I would even suggest you link it on their club’s Facebook page or twitter feed. I have observed many a coach like you describe over the last 5 years, and it is just so unfortunate. Currently, my girls both have coaches whom I can trust to guide them with care and consideration, and without using fear as an incentive. For that, I am incredibly grateful. HI Jessee! I did hear from a representative of the club today after this article started circulating (see the Post Scripts I added) and hope the behavior will be resolved through some education and mentorship. Thanks for chiming in!